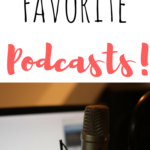 If you’ve ever struggled with holiday stress, this book is for you! 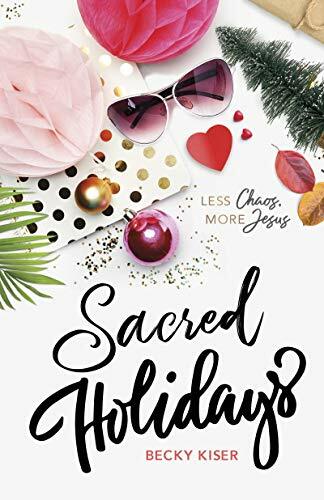 Sacred Holidays by Becky Kiser gives you permission to focus on the holy aspect of the holidays. As a Mom, it’s easy to get caught up in the outside details of the holidays. The perfect Christmas dinner, the matching outfits for Easter, the best stocking stuffers. Often the deeper meaning of the holidays can go totally uncelebrated. This book points hearts back in the right direction by giving practical advice and suggestions to craft a holiday that is both stressless and meaningful. This book focuses first on getting your heart in the right spot. You’ll learn the best ways to use this book. 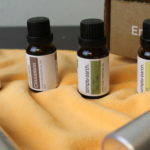 Then, you’ll dive into the nitty-gritty of each holiday. The author suggests reading each chapter about a month before that holiday so things are fresh in your mind and you aren’t overwhelmed! The last part of the book goes over some miscellaneous details like scheduling, Santa, and budgets. I really loved how this book had sections for personal reflection and discussion. 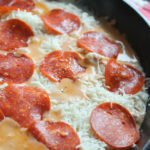 It really emphasized making holidays your own by doing what works for your unique family unit. I highly recommend this book to any woman who needs guidance in the holiday department. *I received this book from the publisher, all opinions are mine. 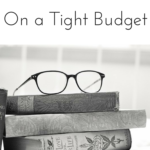 How to Learn New Things on a Tight Budget! 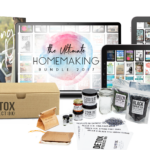 The Ultimate Homemaking Bundle 2017 is Here! 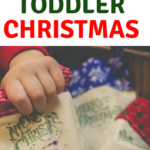 24 Days of Toddler Christmas!